I’ve become increasingly interested in the role that corporate narratives can play in driving business success in competitive markets . While many people find the concept of corporate narratives interesting, they often struggle with what a narrative might look like for their company. This isn’t surprising given how few effective corporate narratives there are out there. In fact, I’ve found only a couple good examples. I view narratives as having two key attributes. First, they’re open-ended – there’s no resolution yet, it’s all to be determined. Second, narratives are about the intended audience, not the person or entity presenting the narrative. In fact, the resolution of the narrative hinges upon the choices and actions yet to be taken by the audience – the resolution is up to them. This is probably the most difficult element of narratives for executives to internalize. There’s a natural tendency to think about corporate “narratives” that talk about the humble beginnings of the company, the obstacles it confronted, the amazing things it’s achieved and the great opportunities ahead. That’s an open-ended story about the company, but it’s not a narrative that identifies opportunities for the people outside the company to pursue on their own. How should we connect in order to accomplish this? To be clear, the “we” in these questions is primarily about the people the narrative is trying to reach, not the individual or company crafting the narrative, although of course the company can play a role in helping those people to accomplish what they were meant to accomplish. In fact, narratives can be a powerful agent of pull, providing context and shape so that people and organizations can make progress. So, what might some corporate narratives look like? Purely for illustration, let me offer some ideas for possible corporate narratives in different industries. Throughout history we’ve focused on treating disease – it’s been a reactive proposition. We wait until we get sick and then we seek out help to get the illness treated and get well again. But we’re on the cusp of a very big shift. We are now developing the technology and the science that will allow us to monitor our physical condition in real-time and give us much greater insight into what promotes our individual health and well-being through an expanding array of mobile digital devices. We can now take timely action to further improve our condition. That action might be on our own or in collaboration with a growing array of wellness providers specializing in different dimensions of wellness. The exciting opportunity now is to tailor our wellness approaches to our unique individual circumstances and to evolve those wellness approaches as our circumstances change. Of course, we’re all going to get sick at some point in our lives, but we’ll be in a lot better position to recover faster with fewer side effects if we’ve invested the time and effort to get to know our body when it is healthy and understand more deeply what it requires to be healthy. Rather than simply being yet another patient with a particular disease, we now become unique individuals with distinctive requirements to achieve and maintain health. For more than a century, our lives followed a similar script. We went to school to get a good job that would last a lifetime. It might not be the most satisfying work, but it would provide us with a reliable paycheck to support ourselves and our loved ones. We would then reap a nice pension for our efforts that would allow us to play golf or bridge with others into our (regrettably short) golden years. But that’s all changing now. As science and medicine help us to remain healthier longer, we now have for the first time an opportunity to craft another chapter to our life, one that might last almost as long as our first career. We have a chance to re-orient our life around a passion that makes a larger and larger difference in the world around us – and we can have an even greater impact by connecting with others who share our passion. To take advantage of this new opportunity, we’ll need to think and plan ahead to make sure that our financial resources are sufficient. But that’s not all. Why wait for retirement? Why settle for collecting a paycheck and being stressed by the uninteresting work we do? Digital technology is systematically reducing barriers to entry in market after market. We saw the effects first in media businesses like film making and writing. But digital technology is spreading and transforming other technologies like manufacturing technologies and medical technologies, making it easier and easier for someone with a passion to gain access to the means of production and start new businesses. Given these new developments, why don’t we step back now and determine what we’re really passionate about and in the next few years craft a path that allows us to integrate our passion and our profession? Why wait until retirement to pursue something we’re really passionate about? Why not find others we can connect with today to help integrate our passion and profession? OK, but healthcare providers and banks naturally have the potential to address some larger and more motivating opportunities. What about companies involved in more mundane activities or products? Let’s take the example of a company that sells a very mundane item like batteries. What might their narrative look like? Well, their narrative might begin by observing that throughout history we’ve been prisoners of our technology. From the earliest days when we settled down to grow crops through the industrial era, we were tied to the means of production. And it got worse over time. As electricity made its way into our lives, we became prisoners of our homes – if we wanted to watch a movie or listen to music, we could go only as far as the electrical cord plugged into the wall socket would allow. But that’s all changing now. We now have a growing opportunity to go anywhere anytime, to free ourselves of physical constraints and yet stay connected and be able to enjoy all the benefits and comforts of our home. As we can venture farther afield without compromising comfort or convenience, what might we accomplish? We could enjoy a greater diversity of experience, learn faster and have an even greater impact on those around us. That’s the real opportunity – it’s an opportunity to take ourselves to a new level of impact, to make a difference that previously would have been impossible when we had to choose between staying tethered to an electrical outlet or dramatically expanding our freedom of movement. The examples I’ve given above are all in the consumer space because they’re easier for all of us to relate to, but there are equally powerful narrative opportunities in the business to business space. In this domain, the narrative still speaks to people outside the company framing the narrative, but they are people in the context of their jobs. Typically, the people to be addressed in these narratives are people who would use the products and services of the company offering the narrative. Just as in the consumer space, the challenge is to pull back from the narrow product or service we’re offering. We need to understand much more deeply the context of the people we’re trying to reach to be able to identify broader opportunities that might be available to these people in their work environment, opportunities that would motivate them to achieve even greater impact and, in the process, take their own companies to a new level. The goal is to excite them about the possibilities and help them to think and act in a much more powerful way. What makes a strong company narrative? Let’s pull back from these specific examples and reflect on the attributes of a strong company narrative. They align with powerful forces at work in the broader economy and society. They gain additional power by leveraging desires and capabilities that are emerging and shaped by forces that extend far beyond any individual company. They invite open-ended participation. They frame an opportunity for action and impact at a very high level, but leave enough room for individuals or small groups to be creative in figuring out what specific actions and impact might be achieved in specific contexts. By staying at a high level, narratives can evolve to accommodate changing circumstances. They are realistic about the challenges and obstacles that will confront the individual or small group as they pursue the opportunities. It’s a fine line but a strong narrative excites people about the opportunity while also alerting them to the challenges – it’s all part of the message that the opportunity is not a given or pre-determined. People will need to make an effort to achieve it. They present positive sum opportunities. What I mean by this is that strong narratives create incentives for people to come together to address the opportunity. If we’re in a zero sum world where either you win or I win, it is much more difficult for us to collaborate. On the other hand, if we’re in a positive sum world where we can expand the total value created by working together, then we have much more motivation to seek each other out and collaborate. They invite participation at the outset with relatively low investment of time or effort and provide some tangible and relatively quick benefit from that effort. This reduces barriers to entry and offers quick reinforcement of the benefits of participation which can then cascade into much more significant efforts. So, why does all of this matter? As I’ve discussed elsewhere, corporate narratives offer some powerful benefits in an increasingly competitive global economy. They help to provide compelling differentiation and leverage by pulling people to us and building long-term relationships, but they also catalyze distributed innovation as the people we attract begin to venture out in pursuit of the opportunity we have framed. They also have a central role in motivating the employees within the company. Even though narratives do not explicitly speak to them, they help the employees to understand how they can have an impact on people outside the company far beyond selling them more products and services. Those who master the art of compelling narratives will have a much stronger competitive advantage than those who ignore this opportunity. No matter what businesses our companies are in, they’ll derive a significant advantage by finding ways to craft a narrative that speaks to relevant people far beyond our companies. There’s a much deeper question about how to craft a compelling narrative which I’ll save for a future posting. Let me just caution for now that this isn’t something that can be handed over to a marketing department or a PR firm. Powerful narratives emerge from sustained and widespread actions by the company that demonstrate the commitment of the company to act in ways that are consistent with the narrative. A successful narrative therefore requires the deep understanding, commitment and engagement of the entire leadership of a company. 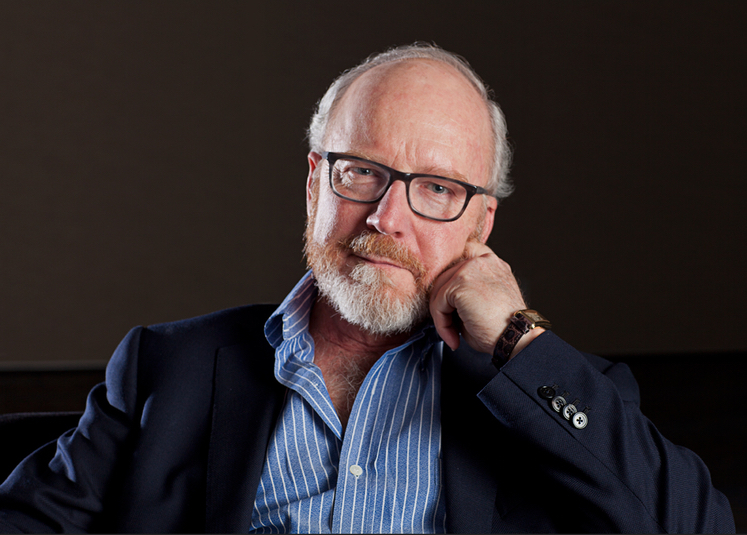 John Hagel is co-chairman for Deloitte LLP’s Center for the Edge with nearly 30 years of experience as a management consultant, author, speaker and entrepreneur. He is the author of numerous books, including “The Power of Pull,” “Net Gain,” “Net Worth,” “Out of the Box” and “The Only Sustainable Edge.” Previously, he was Global Leader of McKinsey’s Strategy Practice and Electronic Commerce Practice (which he founded and led from 1993-2000). John holds a B.A. from Wesleyan University, a B.Phil from Oxford University and a J.D. and MBA from Harvard University.